Your hearing is an essential part of a quality life: when you hear better, you live better. When you are ready to take the steps towards better hearing, it’s important to choose the most qualified professional to assist you in developing a successful, healthy hearing plan. An Audiologist is an expert in hearing loss. 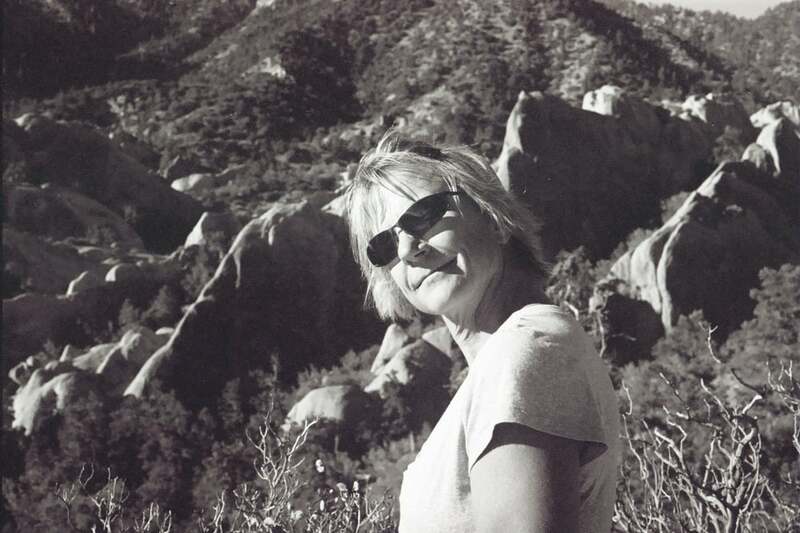 They have focused their career on helping those with hearing and balance disorders, and have earned a Masters or Doctorate in Audiology from an accredited university. The audiologist’s title is then Au.D or Doctor of Audiology. An Audiologist is trained to evaluate the entire auditory system and to perform diagnostic assessments to rule out any medical issues that can have serious consequences. Your audiologist analyzes your health history, including factors such as medications, genetics, diseases, physiology, and exposure to noise to determine their effects on your hearing. Being a good Audiologist involves more than holding an educational background and practical experience, however. An Audiologist also understands the importance of being a good communicator and great listener, and is capable of translating your experience into a technical solution for better hearing. As someone with whom you’ll invest your time and money, it’s important to choose an Audiologist you can trust and are comfortable with to discuss your questions and concerns. An Audiologist will be a part of your life for many years to come, committing themselves to giving you the best hearing possible through follow up visits and consistent quality care. In the U.S., both dispensing audiologists or fitters/dispensers of hearing aids are hearing aid providers. Audiologists are qualified to assess and treat both adults and children. An audiologist must have at least a Master’s Degree (M.S., or M.A.) or a Doctorate Degree (Au.D.) in communicative sciences and disorders from an accredited college or university before they can become licensed in California. A fitter/dispenser is a someone who measures hearing using an audiometer and selects, adapts, and sells hearing instruments. In California, a fitter/dispenser must pass an exam given by the State Committee of Examiners in the Fitting and Dispensing of Hearing Instruments and be supervised by another fitter/dispenser for one year. No college degree is not required to be licensed, only a high school diploma. Fitters/dispensers will often use the designator, “HIS” which stands for Hearing Instrument Sciences. Even a skilled dispenser can miss signs of ear disease or other disorders simply because of limited educational background. Using an audiology-based practice is the most effective path to good hearing, as audiologists are educated to perform a comprehensive examination to confirm or rule out the need for medical intervention. The middle ear lies at the end of the auditory canal. It is composed of the ear drum and three small bones, known by the layman as the hammer, the anvil and the stirrup. When sound waves hit the ear drum, it vibrates and, in turn, moves the hammer. The hammer moves the anvil, which moves the stirrup, transmitting the vibrations into the inner ear. The middle ear functions to amplify sound, which is why significant hearing loss can result from any disruption in any of the parts. The inner ear consists of the cochlea and the nerve of hearing. It converts sound waves into nerve impulses that travel to the brain via the movement of tiny hair cells. The brain, in turn, allows us to hear… as long as the message it is receiving is not distorted due to problems in the process just described. People with hearing loss are often embarrassed because they think that they are different or that they have a rare condition. The last MarkeTrak survey (2004) estimated that 31.5 million people report a hearing difficulty; that is close to 10 percent of the U.S. population. • Three in ten people over age sixty have hearing loss. • One is six baby boomers (ages forty-one to fifty-nine), or 14.6 percent, have a hearing problem. • One in fourteen Generation Xers (ages twenty-nine to forty), or 7.4 percent, already have hearing loss. • At least 1.4 million children (eighteen or younger) have hearing problems. • It is estimated that three in one thousand infants are born with serious to profound hearing loss. Hearing loss affects only “old people” and is merely a sign of aging. Actually it is the reverse of what most people think. The majority (65 percent) of people with hearing loss are younger than age 65. There are more than 6 million people in the U.S. between the ages of 18 and 44 with hearing loss, and nearly 1.5 million are school age. Hearing loss affects all age groups. Not true! Only 13 percent of physicians routinely screen for hearing loss during a physical. Since most people with hearing impairments hear well in a quiet environment like a doctor’s office, it can be virtually impossible for your physician to recognize the extent of your problem. Without special training, and an understanding of the nature of hearing loss, it may be difficult for your doctor to even realize that you have a hearing problem. • have difficulty following conversations involving more than two people. • think that other people sound muffled or like they are mumbling. • have difficulty hearing in noisy environments, such as conferences, restaurants, malls or crowded meeting rooms. • have trouble hearing children and women. • have your TV or radio turned up to a high volume. • answer or respond inappropriately in conversations. • have ringing in your ears. • read lips or more intently watch people’s faces when they speak with you. • feel stressed out from straining to hear what others are saying. • feel annoyed at other people because you cannot hear or understand them. • feel embarrassed to meet new people or from misunderstanding what others are saying. • feel nervous about trying to hear and understand. • withdraw from social situations you once enjoyed because of difficulty hearing. • have a family history of hearing loss. • take medications that can harm the hearing system (ototoxic drugs). • have diabetes, heart, circulation or thyroid problems. • have been exposed to very loud sounds over a long period or single exposure to explosive noise. Do you have a Noise Induced Hearing Loss? • Do you have difficulty understanding the television? • Do you avoid group conversations? • Ten million Americans have already suffered irreversible hearing damage from noise. • Thirty million are exposed to dangerous noise levels each day. • The effects of noise on hearing are often underestimated because the damage takes place so gradually. • Excessive noise damages the delicate hair cells in the inner ear. This damage results in sensorineural hearing loss and often tinnitus (ringing of the ears). • Limit exposure time in noisy activities. • Turn down the volume on the television, radio, stereos and MP3 players. • Consult an Audiologist about what you can do to conserve the hearing you still have. • Have your hearing screened annually. • Be alert to hazardous noise. Prevention is critical! Conductive: This could be caused by something as simple as earwax buildup. A conductive hearing loss can be the result of a blockage in the external ear canal, or can be caused by any disorder that unfavorably effects the middle ear’s ability to transmit the mechanical energy to the stapes footplate. Generally, the cause of conductive hearing loss can be identified and treated resulting in a complete or partial improvement in hearing. Following the completion of medical treatment for cause of the conductive hearing loss, hearing aids are effective in correcting the remaining hearing loss. Sensorineural: This is the most common type of hearing loss, and is caused when tiny hairs in the cochlea are missing or damaged. The reason for sensorineural hearing loss sometimes cannot be determined. It does not typically respond favorably to medical treatment, and it is typically described as an irreversible, permanent condition. Like conductive hearing loss, sensorineural hearing loss reduces the intensity of sound, but it might also introduce an element of distortion into what is heard resulting in sounds being unclear even when they are loud enough. Once any medically treatable conditions have been ruled out, the treatment for sensorineural hearing loss is amplification through hearing aids. Mixed: This is a combination of conductive and sensorineural hearing loss. A mixed hearing loss can be thought of as a sensorineural hearing loss with a conductive component overlaying all or part of the audiometric range tested. So, in addition to some irreversible hearing loss caused by an inner ear or auditory nerve disorder, there is also a dysfunction of the middle ear mechanism that makes the hearing worse than the sensorineural loss alone. The conductive component may be amenable to medical treatment and reversal of the associated hearing loss, but the sensorineural component will most likely be permanent. Hearing aids can be beneficial for persons with a mixed hearing loss, but caution must be exercised by the hearing care professional and the patient if the conductive component is due to an active ear infection. When you arrive, you’ll be greeted by our staff and asked to fill out several forms, including personal information, medical history and insurance matters, as well as receive a privacy notice. When the exam begins, your audiologist will review your personal information with you and ask questions about any hearing concerns you have. Next, the audiologist will look into your ears using an otoscope. 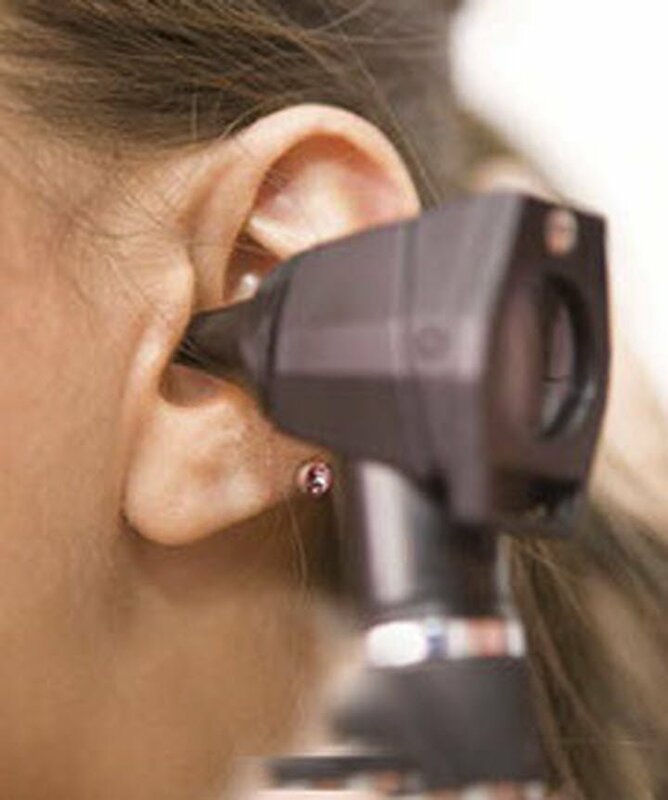 We can examine the ear canal and the ear drum, checking for any obstructions or other ear exterior ear problems. The pure tone hearing test then begins. You’ll sit in our special soundproof booth. The audiologist fits you with headphones connected to an audiometer. The audiometer transmits a series of tones at various volumes to your ears to determine the threshold at which you can hear various sound frequencies. When you hear a sound, you’ll be asked to press a patient response button or raise your hand. Next is speech testing, asking you to listen to a series of one and two syllable words at different volumes and then repeat them. Your audiologist will determine the level at which you can both detect and understand speech. We may also conduct a speech in noise test. This test determines how clearly you hear sentences in a noisy environment. Test results are recorded on a form called an audiogram, which the audiologist reviews with you. Your audiogram shows your hearing loss in frequencies and decibels. You’ll see the type and degree of hearing loss, as well as the degree of normal conversational speech that you are able to hear. Your audiologist will interpret these results as they relate to your concerns about hearing. Once test results are obtained, we can suggest possible treatment solutions. Dramatic improvements have been made to the form and function of today’s hearing aids. Digital technology enables hearing aids to deliver a more natural sound, similar to what some users used to hear before experiencing a hearing loss. Hearing aids now come is all shapes and sizes to accommodate your lifestyle, budget and cosmetic preference, with dramatic designs and colors to designs that are virtually invisible. • Dual microphones allow you to hear better in noisy situations; some can even identify the source of the noise and reduce it. • Open Technology that keeps the ear canal unobstructed and eliminates the “talking in a tin can” effect. • Hands Free Technology automatically adjusts to your listening environment, whether you speaking with a telephone, in a crowded room, or in windy conditions. • Wireless Technology allows you to hear your mobile phone, television and home phone in stereo, directly through your hearing aid. • Hearing loss. Most people who have tinnitus also have some kind of hearing loss. • Loud noise. Exposure to loud noise can cause permanent hearing loss and tinnitus. Continued exposure can make the tinnitus and hearing loss get worse. • Medicine. More than 200 medicines, including aspirin, can cause tinnitus. If you have tinnitus and you take medicine, ask your doctor or pharmacist whether your medicine could be involved. • Other potential causes. Allergies, tumors, problems in the heart and blood vessels, jaws, and neck can cause tinnitus. Relaxing. Learning how to relax is very helpful if the noise in your ears frustrates you. Stress makes tinnitus seem worse. By relaxing, you have an opportunity to rest and better deal with the sound.What can I do to help myself?